Never seen a bitter family like this before. They can't even hide it! What!! Lol... ile olorogunnnn... 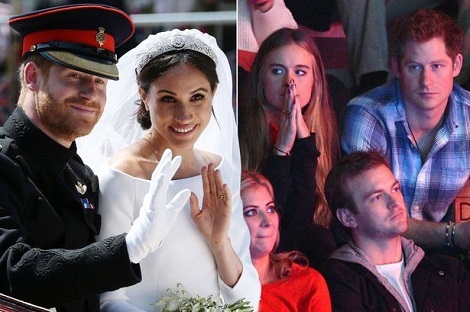 The half-sister of Meghan Markle has launched a bitter Twitter tirade aimed at Prince Harry and his new bride saying he "should have married Cressida". Samantha Markle labelled the Duchess of Sussex the 'Duchess of Nonsense' and said that 'Diana would be ashamed'. She also accused Prince Harry of bowing down to his new wife and labeled him a 'wuss'. "Harry is a wuss to allow the Duchess of Nonsense to mistreat everyone who has been close to her, especially her family. "Diana would be ashamed. Stop wearing Meg's skivvies and bra and take your pants off of her!" she wrote on social media.